Maintaining your nail health with Basicare Nail Clipper Slant Curved Blades. A well designed clipper is very comfortable to use. Slant curved blade makes cutting your fingernails and toenails easy. 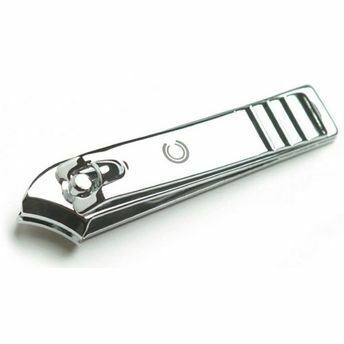 Made from high quality steel this clipper is durable and has better strength level. Gives you maximum accuracy. Equipped with a laser file you will be able to smooth off the rough edges with total comfort. Finally when you are done with clipping and shaping your nails, use nail buffer to smooth & shine your nails. Additional Information : Influx Industry Inc. manufacture and exporter in the Health & Beauty industry at both professional and retail level. Basicare is one of the key brands which develops basic health and beauty care products. Explore the entire range of Manicure & Pedicure Kits available on Nykaa. Shop more Basicare products here.You can browse through the complete world of Basicare Manicure & Pedicure Kits .